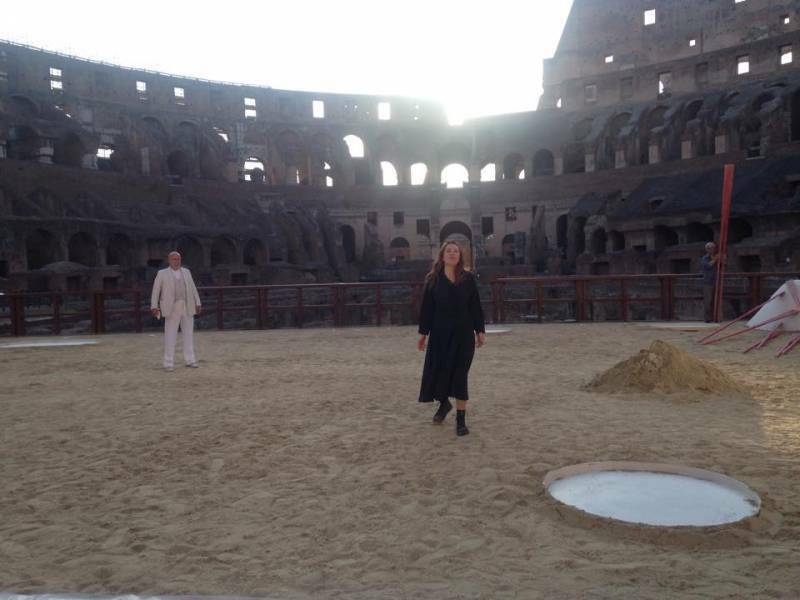 Medea, a Classical play written by Seneca the Younger (circa 4 BC – 65 AD), was on staged at the Colosseum from Monday, July 12 until Wednesday, July 15 at the 1,350 capacity theatre. It is the first Classical play performed at the Colosseum since 2000, when Sophocles’ Antigone, Oedipus Rex and Oedipus at Colonus were all performed at the Ampitheatre. unfaithful husband Jason, and its script contains many supernatural themes. 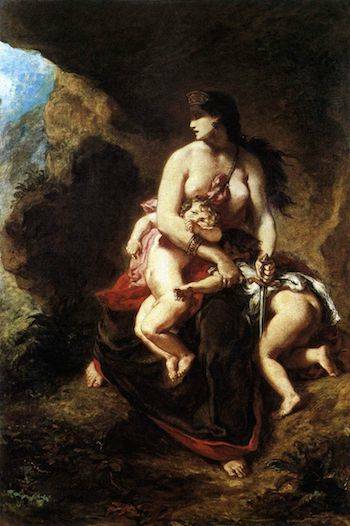 Valentina Banci, under the tutelage of Paolo Magelli, plays the lead role as the enraged, unchained Medea, while Filippo Dini plays the adulterous husband. The set, consisting chiefly of symbols of the tragedy, has been designed by Ezio Toffolutti. Scored by Arturo Annecchino, The chorus, donning costumes dating back almost 100 years, convey Medea’s inner turmoil and gradual descent into madness during the course of the play. Italy’s Culture Minister Dario Franceschini was the key figure behind the revival of Classical theatre at the Colosseum, having lobbied the National Roman Museum, the Rome Archaeological Area, the Special Superintendency for the Colosseum, and the RAI15 broadcaster to bring this play to the Rome’s famous landmark. He claimed that this play will allow the iconic landmark to recover its status as a key location for performance staging whilst allowing the public to bask in its splendour.